Futurists and prognosticators are weighing in on the effects of artificial intelligence (AI) on civilization as we know it. Business magnate, investor, engineer, and inventor Elon Musk believes that AI will most likely lead to World War III, and reportedly tweeted, “Competition for AI superiority at national level most likely cause of WW3 imo (in my opinion)” (Browne, 2017, para. 3). In the same article, Russian President Vladimir Putin said “Whoever becomes the leader in this sphere (AI) will become the ruler of the world “(Browne, 2017, para. 5). Others fear that AI will replace jobs and turn the tables on humans by outsmarting them and taking control of the means of production. However, dissenters suggest that AI can never beat human creativity and innovation. Jankel (2015) noted that, Countless ground-breaking artists — from multiple Booker Prizewinner Hilary Mantel to Isabel Allende; from Ludwig Van Beethoven to John Lennon — have made it adamantly clear that they have never been able to predict what creations will emerge next; and indeed, know where they really come from. Additionally, the act of bringing those breakthroughs into the world, usually against enormous resistance from the status quo, is itself a profoundly human talent, driven as it is by narrative, vision, empathy and influence. For this reason, I am convinced that no computer, no matter how powerful, will ever be able to purposefully innovate an artistic breakthrough like Hip Hop; or a commercial one like Instagram. Breakthrough creativity is fundamentally organic, not algorithmic. Whilst computers and the businesses that run on are breakthroughs; they themselves will never make them (Jankel, 2015, para.8). Joseph Aoun, president of Northeastern University and author of the book, “Robot-Proof: Higher Education in the Age of Artificial Intelligence” says, We have to make sure that as we teach the essential technical and data literacies of the 21st century, we do so in a way that simultaneously develops in learners the higher order mental skills—systems thinking, creativity, and critical thinking—they’ll need to be robot-proof (Selingo, 2017). So, how should you use creativity and education thought leadership to beat AI? Here are 5 ways you can prepare now. Corporations and small businesses are always looking for the best solutions to organizational problems. The biggest difference between individuals who provide mere opinions and those who become credible thought leaders is the care and consideration provided in the critical thinking and analysis of a problem. Education thought leaders break down problems to their cellular form and by using industry standards, best practices, and innovation develop ideas and strategies that help solve organizational problems. The value of this process allow education thought leaders to do good and well simultaneously. Education thought leaders fill intellectual gaps through creativity. Business owners and corporate managers complain about the challenges of hiring, training, and retaining skilled employees. Hiring an education thought leader with specialized skills, as well as a large body of work is like hiring Malcolm Gladwell or Sheryl Sandberg. Organizational leaders that pride themselves on accumulating intellectual capital can use education thought leaders as magnets for attracting other skilled employees. Learning organizations could see innovation and productivity improve by systematizing and institutionalizing intellectual capital the same way universities use celebrity professors (thought leaders) to attract the brightest students. Education thought leaders market their intelligence. Let’s face it; there are a lot of smart people in the world. However, if you were to Google any number of these individuals, it would be difficult to find a prolific body of work. Many of these smart people earn great salaries and hold lofty positions, but have not documented their intelligence through articles, books, or videos. Education thought leaders document their work as evangelists for an intellectual cause. If they have discovered a better way of doing something, they become crusaders for that initiative. Education thought leaders demand that their net worth equates to their intellectual contribution and their ideas become immortal. Education thought leaders don’t reinvent the wheel for breakthrough innovations. William Duggan (“The Art of What Works: How Success Really Happens”) said that success repeats itself. In other words, whatever was successful in the past, with some iterations and modifications, it will be successful again. William Shakespeare reportedly said that he didn’t invent new stories but “…merely made new words out of old words.” Education thought leaders look for gaps in existing conditions and apply proven solutions to an existing problem. This takes the pressure off of having to invent new things as opposed to renovating old ones. With the advent of technology and social media, it is easier to become an education thought leader today than ever before. 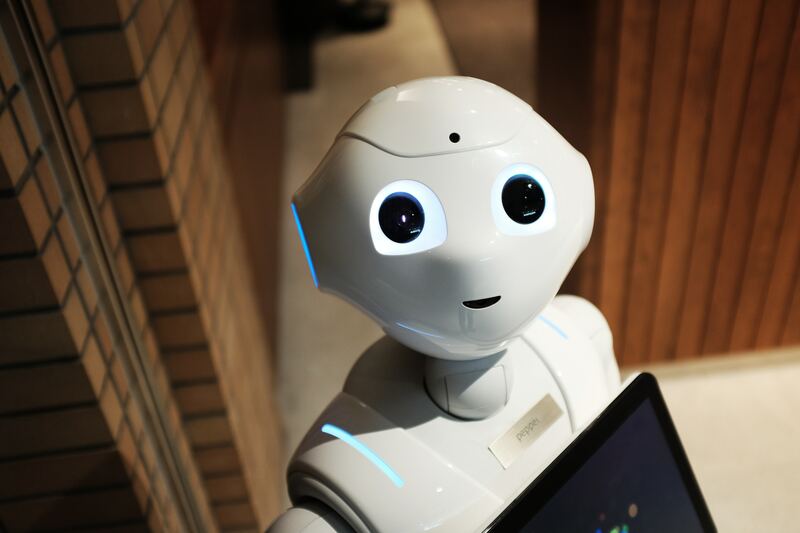 Although AI will serve as the modern day monster for the unprepared and uninitiated, it will only supplement the insight, analysis, and creativity of education thought leaders. Whether your outlook on AI is “gloom and doom” or you’re using it to usher in a new Age of Reason, your dedication and commitment to intellectualism will seal your fate. Browne, R. (2017, Sept. 4). Elon Musk says global race for A.I. will be the most likely cause of World War III. CNBC. Retrieved from: www.cnbc.com/2017/09/04/elon-musk-says-global-race-for-ai-will-be-most-likely-cause-of-ww3.html. Jankel, N.S. (2015, April 26). AI vs. human intelligence: Why computers will never create disruptive innovations. HuffPost. Retrieved from: www.huffingtonpost.com/nick-seneca-jankel/ai-vs-human-intelligence-_b_6741814.html. Selingo, J. (2017, Nov. 10). A blueprint for how we can beat the robots. LinkedIn Pulse. Retrieved from: https://www.linkedin.com/pulse/blueprint-how-we-can-beat-robots-jeff-selingo.